One day, Odile Gerin was a busy 46-year-old mother of three teenagers and eight months into a new full-time job she loved after years of juggling part-time work and family responsibilities. The next day—April 1, 1983—she woke up to find she was too dizzy and weak to get out of bed. And that was how she would spend much of the next two years. “I was so happy, and then, boom!” she recalls. “My life changed.” Though Gerin was so debilitated that someone was dispatched to her house for blood tests, results showed no infection or other obvious abnormalities. Drugs to combat dizziness didn’t help. The specialist to whom she was referred declared that she was depressed because her eldest child would be leaving home shortly. Both Gerin and her family physician knew that verdict was wrong, and it would be years before she received a correct diagnosis: chronic fatigue syndrome, also known as myalgic encephalomyelitis (collectively known as CFS/ME). Still, back then, many doctors dismissed the condition as either a mental disorder or simple malingering—beliefs still widely held, though a growing body of research has shown that CFS/ME is in fact a physical illness. The scientific evidence is so compelling that a 2015 report from an influential independent advisory body called the National Academy of Medicine (NAM) identified CFS/ME as “a complex, systemic, serious disease.” The symptoms—which often last for years—can be so debilitating that, according to the NAM, one-quarter of patients with CFS/ME are bedbound or housebound at some point during their illness. although it can strike at any age. “There are barriers to patients getting diagnosed,” notes haematological pathologist Dr. Alison Bested, the medical director for the Complex Chronic Diseases Program at BC Women’s Hospital and a clinical associate professor of medicine at the University of British Columbia, both in Vancouver. “The foremost is that medical doctors don’t receive any training in this area; no university in Canada has CFS/ME on the curriculum.” Consequently, few Canadian physicians are knowledgeable about the condition and just a handful specialize in diagnosing and treating it. At BC Women’s Hospital, for example, a program aimed at diagnosing patients with CFS/ME has a waiting list that is two years and 1,400 names long. A wide and diverse range of symptoms, which vary from one person to another, is another roadblock to diagnosing the condition. “The symptoms fall into five major categories,” explains Dr. Ric Arseneau, director of program planning with the Complex Chronic Diseases Program at BC Women’s Hospital. The two main symptoms are fatigue (not just tiredness but the kind of wrung-out all-in exhaustion that occurs at the peak of a bout of flu) lasting six months or more, and something called post-exertional malaise. “That’s a fancy way of saying that if patients push themselves beyond their energy limits, they crash, and that crash can last one or more days,” Arseneau says. People with CFS/ME have an energy shortage, and what constitutes exertion can include everyday activities such as grocery shopping and mental tasks as basic as concentrating on what your conversational partner is saying in a roomful of cocktail chatter. Arseneau says a crash (basically a huge spike in symptoms) is “similar to borrowing money from the Mob: when you borrow energy from the next day, you pay it back with huge interest and you feel beaten up, just as you would by the Mob.” (Gerin describes the feeling as similar to having a wall fall on you.) This is a key feature of CFS/ME. 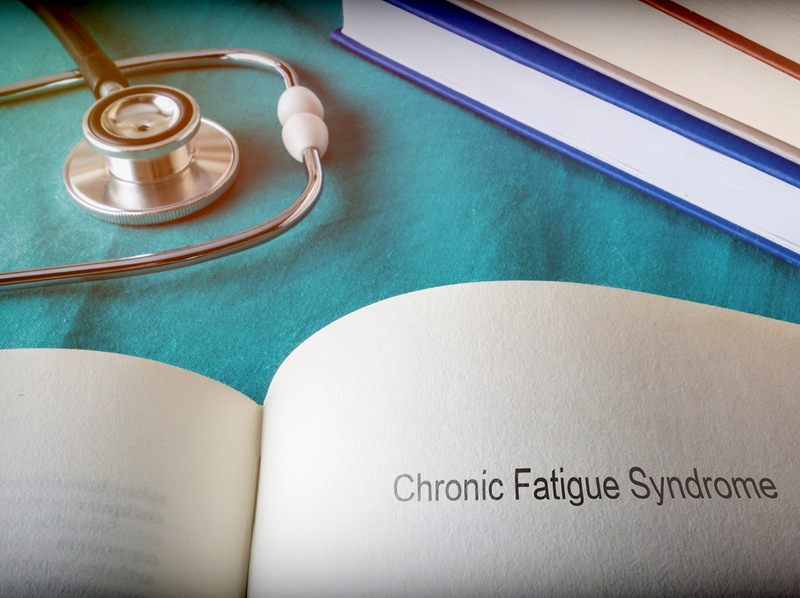 “If you don’t have post-exertional malaise, you don’t fulfill the criteria for chronic fatigue syndrome,” Arseneau says. – and problems involving the immune system (which can range from sore throat and tender lymph nodes to new sensitivities to foods and synthetic chemicals). What causes the condition underlying these symptoms? While that’s not yet completely clear, we do have some clues. First, “there seems to be a genetic susceptibility to this,” Bested says. “Genetic predisposition can include a family history of not just chronic fatigue syndrome but also things such as fibromyalgia, irritable bowel syndrome, migraines, and restless leg syndrome,” Arseneau says. Another predisposing factor is childhood trauma. “A high-stress childhood puts you in fight-or-flight mode all the time, so your adrenalin is ramped up, which changes the chemical and physical aspects of the brain,” Arseneau explains. But these factors just load the gun. What pulls the trigger? brains are basically awake at night and asleep in the daytime,” Bested says. 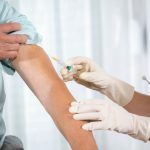 Canadian researchers are also exploring “how the environment can get embedded in our biology and have long-term impacts on health,” explains Patrick McGowan, an associate professor of biological sciences at the University of Toronto Scarborough and the departments of cell systems biology, psychology, and physiology at the University of Toronto. That field of research—epigenetics—looks at how environmental factors such as stress, infection, and nutrition can change DNA, turning genes on or off and making them more or less active.